This was first presented at the 2005 30th Anniversary Symposium of the Last Flight Out sponsored by the Pan Am Historical Foundation and World Wings International. The month of April never goes by that I don’t think of them…the children, the babies, and the refugees. All of us who flew for Pan Am in the Pacific back in 1975 heard the stories—from inbound pilots, in quiet conversations with fellow flight attendants on layovers, and from down line station managers in Hong Kong, Manila or Saigon. Some of us participated in the history ourselves through the luck of the draw with our flight assignments. These were the stories of Operation Babylift and the Fall of Saigon, and it’s been 38 years since it all happened. “I now know that Ross Meador was the person who woke us up that night and put us on the plane. I can’t even describe our first conversation when we got back in touch. My last memories were of waking up, the van ride, and then taking off in that cargo plane. I’d lived 33 years with these memories, and I was beginning to wonder if they weren’t a figment of my imagination until I got to talk with Ross. I described what I thought had happened that night as best I could. And Ross said, yes, that’s what happened. I wept in relief that I didn’t just imagine it all. Like many of his fellow adoptees, Mike has had a successful life. 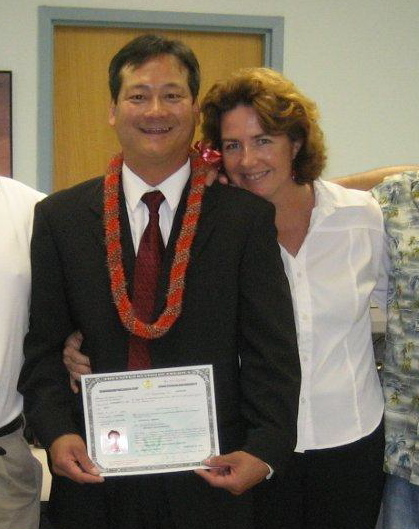 Now in his forties, he served his adopted country in the Air Force, married, and had a long business career as a marketing representative with a major corporation. He went back to Danang a few years ago, visited the Sacred Heart Orphanage, and was able to obtain his birth records. While he was not able to find any immediate family, he has been able to trace distant cousins who also came to the United States. And like other adoptees, he keeps in touch through social media sites and attends reunions. Sidelined from work recently by a series of foot operations that he attributes to wearing improper shoes made of tire treads in his early childhood, he paused to reflect and consider what to do with the rest of his life. He has since decided to leave his company and work on projects that give back to the country that saved him, even though it took his parents from him. Robert McCauley. Picture from Virtual Museum of Public Service, Rutgers-Newark School of Public Affairs. While I learned many lessons while flying for Pan Am, none were more important than those of the spring of 1975. On this 38th anniversary of Operation Babylift, I salute individuals like Ed Daley of World Airways, Bob Macauley of AmeriCares (who mortgaged his house to charter the Pan Am 747), Ross Meador and Cherie Clark of FCVN, and the countless others who worked to save Vietnamese children and remain in touch with them, even to this day. In spite of our failure as a nation to properly evaluate getting involved in Vietnam and in spite of the pain that this war caused, some of our citizens tried to make something good come out of it by embracing the conflict’s youngest victims. We may make mistakes as a country, but as individuals we have heart—and I think this heart is part of what makes America unique. While many of The Golden Children will always struggle with their identities, adoptees like Mike have discovered the very truth of which Laurence writes: that home and family exist wherever you both give and receive love. Let us all bear that in mind as we remember April. Rebecca Sprecher is a co-author with Paula Helfrich of Flying: A Novel, available at Amazon.com and Barnes and Noble.com. 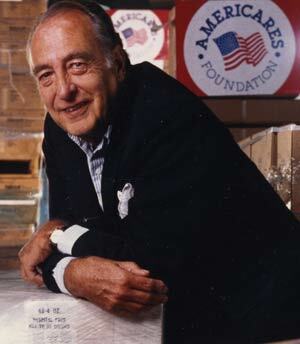 Robert McCauley was a successful American businessman who as his success grew, focused more on philanthropy. In 1968 he founded the Shoeshine Foundation to help Vietnamese children orphaned by the war. In 1975 after the crash of the C-5A, when he learned that it would be more than a week before the military Operation Babylift flights could resume, he contacted numerous airlines. Only Pan American had a plane available for charter. He mortgaged his home to pay the $250,000 charter fee. Working through World Vision Bertha and Harry Holt first began adopting children after the Korean War. They also founded an adoption agency in the United States. This was not the first babylift operation for Pan Am! Just after the Korean War (1950-53) there was also a surge of international adoptions. B.A. Walters, a Pan Am Stewardess for 37 years recalls working that babylift flight. 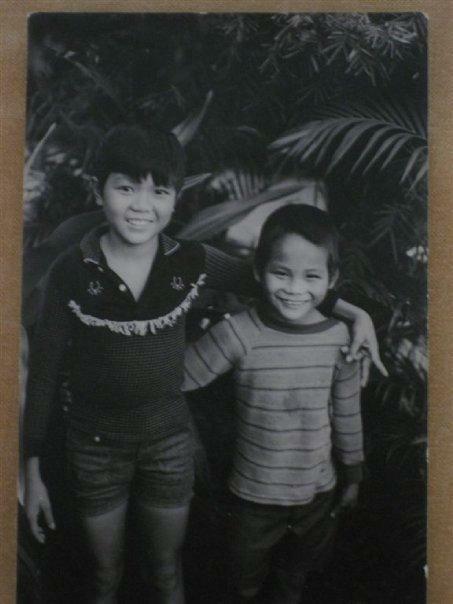 I was the president and founder of the Hawaii chapter of Friends of Children of Viet Nam (FCVN) in 1973/74. I organized meetings and support in Honolulu, collecting goods to be delivered to FCVN orphanages in Viet Nam. My former wife (Thanh Tu DANG) was one of only 2 Vietnamese stewardesses with Pan Am at that time. We even arranged for cargo shipments on Pan Am and accompanied them for delivery to the orphanages in Viet Nam, spending time with the orphans and staff on site there. During 1974, while a University of Hawaii graduate student, I was the (improbable) go-to-guy for Pan Am together with U.S. Immigration for any Vietnamese orphans on any Pan Am flight through Honolulu that was too sick to continue on the flight to the U.S. Mainland and the adoptive parents. When the baby was hospitalized, it was then released to my custody when healthy enough for the flight to the U.S. Mainland to join with the adoptive parents. There were some very memorable flights and touching family unions there. I kept in touch with some families fora few years but lost touch with all over time due to my international moves for business. I never had children of my own but still marvel at pictures of me in the Honolulu newspapers taking care of infants in diapers. I was a social worker for Friends of Children of Vietnam from 1971 to 1975 and was involved in the evacuation of Operation Babylift. I also adopted 2 children, one daughter, and one son, an Amerasian. I have just attended the 40th Anniversary of Operation Babylift at the Vietnam Vets Era Museum in New Jersey. YOu can find more information about Sacred Heart orphanage in Danang and other orphanages throughout the country in the book: Hope for the children of war: Vietnam 1971-1975. Thank s for the beautiful article.